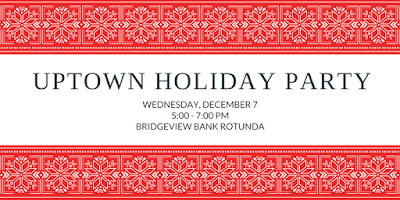 You are invited... to the Uptown United Holiday Party, tonight at the Bridgeview Bank. It takes place between 5pm and 7pm. "Enjoy complimentary light food, libations and great company!" If you haven't seen the gorgeous rotunda of the original lobby, you really should take the opportunity tonight. It's been featured in many movies, including Dillinger, and the entire bank lobby has been restored to the way it was in years past. It's also a chance to do some good for two great organizations, by bringing clothing, food, and toiletries. "Uptown has a proud history of helping those in need. 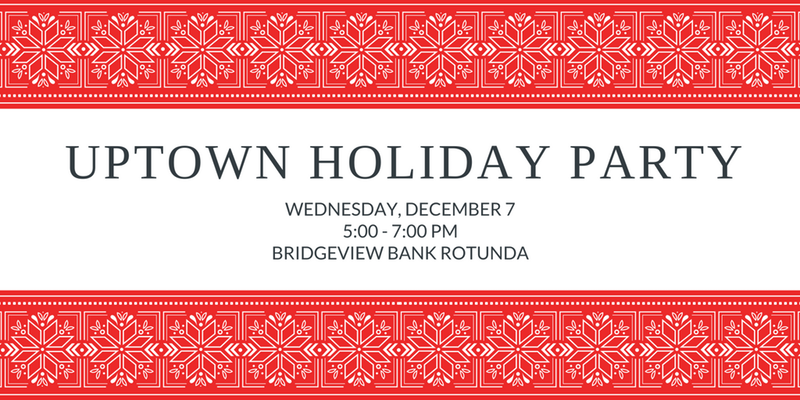 We hope you'll join us this year in bringing a donation to assist two worth organizations serving the Uptown neighborhood: Sarah's Circle and Lakeview Pantry." You can see the lists of most-needed items here, everything from cough drops to yarn to meat ravioli.